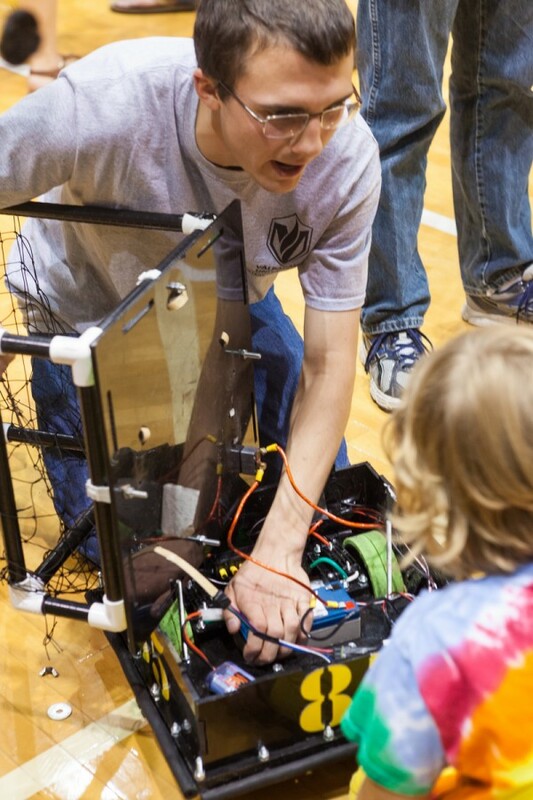 Robotic football is just like “human” football. 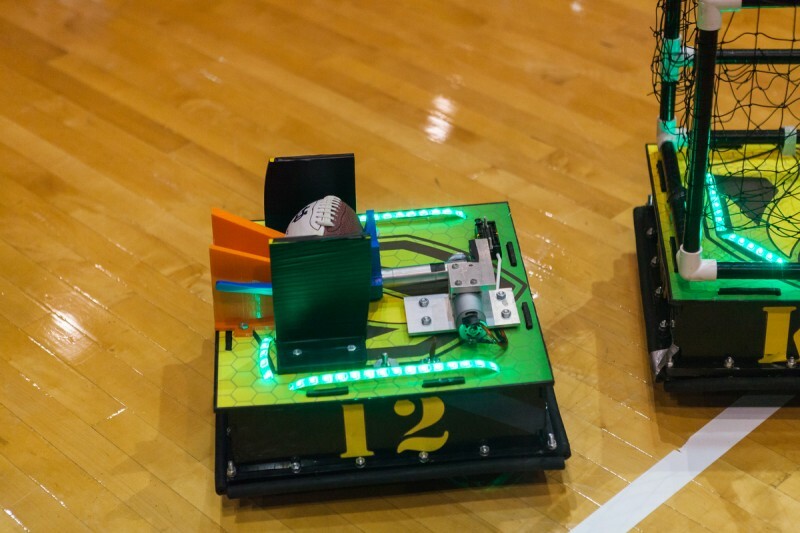 Two full teams are on the field, the ball is snapped to a quarterback, and the quarterback has the ability to either pass the ball or make a run for it! 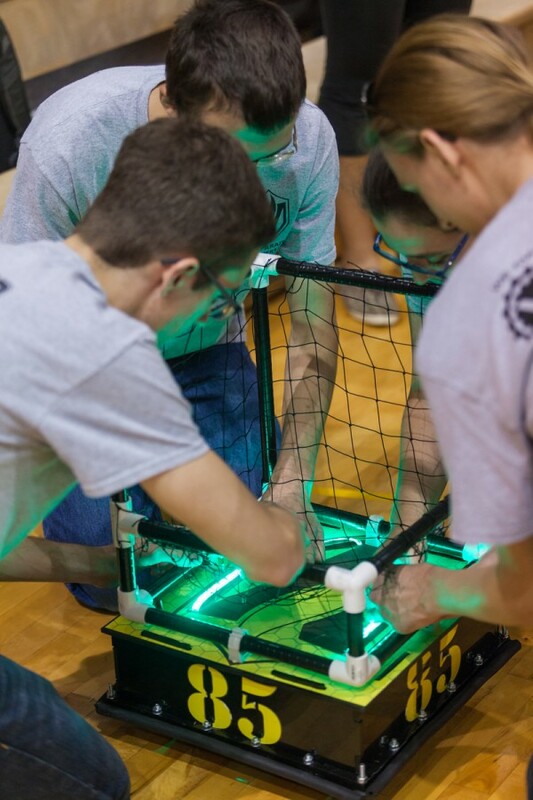 Robots actually get tackled too – the LEDs on top indicate if they get tackled from a hard hit. Learn about the rules here. 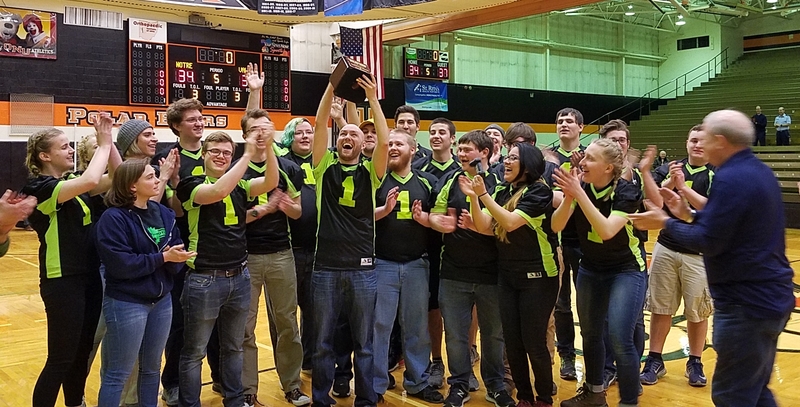 Valpo Robotics has repeatedly raised the bar – redefining what it even means to play robotic football. 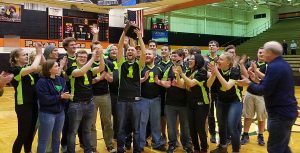 Remaining the only undefeated team in the league, we most recently took home the Brian Hederman Memorial Trophy at the 2016 Robotic Football National Playoffs.